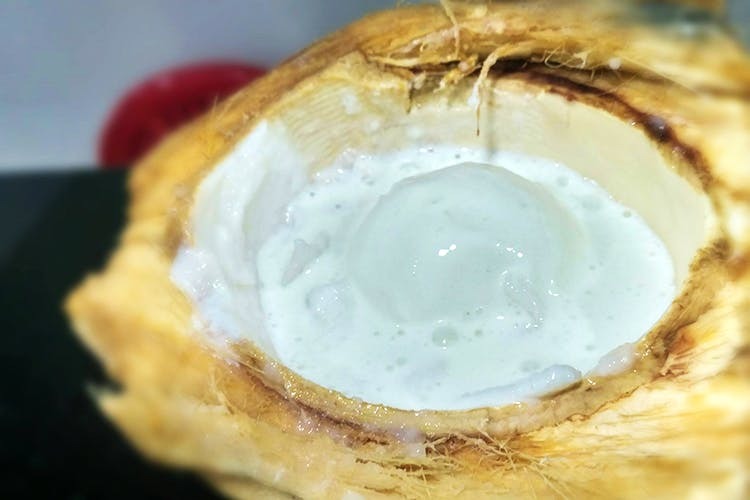 Khatri Bandu at Karve Nagar, near Vittal Madir has been selling the best of gourmet pot ice creams and creamy mastanis for over two decades. Girish Khatri was only 13 years old when he started Khatri Bandhu, a humble ice cream parlour near Rajaram Bridge. Today, with five more outlets in his kitty, Khatri Bandhu is perhaps Pune’s most sought-after dessert joint. Open between 6.30 pm and 12.00 am, the store is perpetually bustling with customers. Reason? Their lip-smacking pot ice cream and mastanis. What makes Khatri Bandhu different is the fact that they make fresh ice cream in traditional wooden pots, without any artificial flavours or sweetening agents. Their assortment of desserts, made of boiled milk, seasonal fruits and nuts, is very light on the palate and the pocket. We highly recommend you try their mawa, pista, gulkhand and mango ice creams, all for INR 30 for a scoop. Starting at INR 75, their sitaphal, kesar dryfruit and chocolate mastanis are a must-try! Ditch those commercial brands, have a scoop of Khatri’s low fat and natural pot ice cream!